Resolved log4j warning at the top of the converted pdf. Old Post: Just for reference only, check the above mentioned maven project only. To keep the post clean I kept only the required portion, please download the zip file for complete files. Please create the folder named mirthbees under your c drive(if you want to create in other places or other names, accordingly update the path details in the below program inputWordPath & outputPDFPath varaibles) and have the input word document there, ensure it is not opened when you running this conversion program. 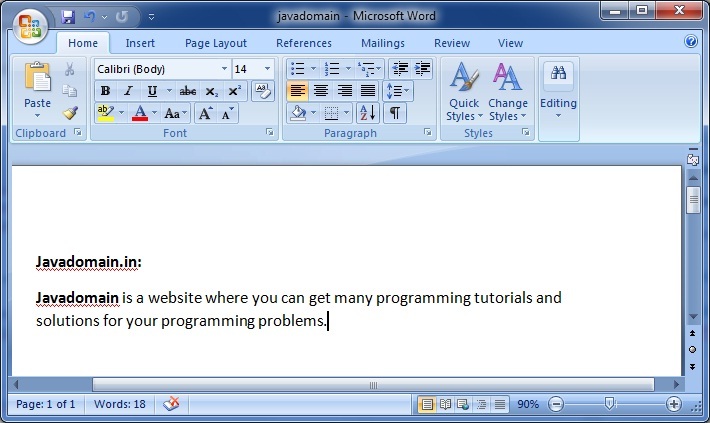 System.err.println("Time taken to Generate pdf "
If the code above does not work for all your Word documents, please consider our java library jWordConvert. Your tutorial is good. I have generated PDF file. But ‘ TO HIDE THESE MESSAGES, TURN OFF log4j debug level logging for org.docx4j.convert.out.pdf.viaXSLFO ‘ message come by default. 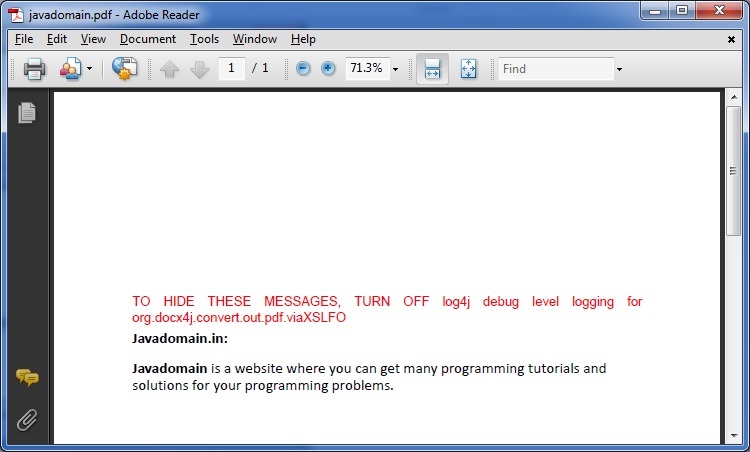 So to hide this message , I have used ” org.docx4j.convert.out.pdf.viaXSLFO.Conversion.log.setLevel(Level.OFF); ” line. But problem is when generating war its making problem.